Outdoor kitchens are great; not only do they extend your livable space into the outdoors, they create a whole new al fresco experience that take your property enjoyment to another level! Being able to cook and dine while entertaining or enjoying a relaxing night with your family is all the better when surrounded by fresh air, an angelic sunshine or majestic sunset. 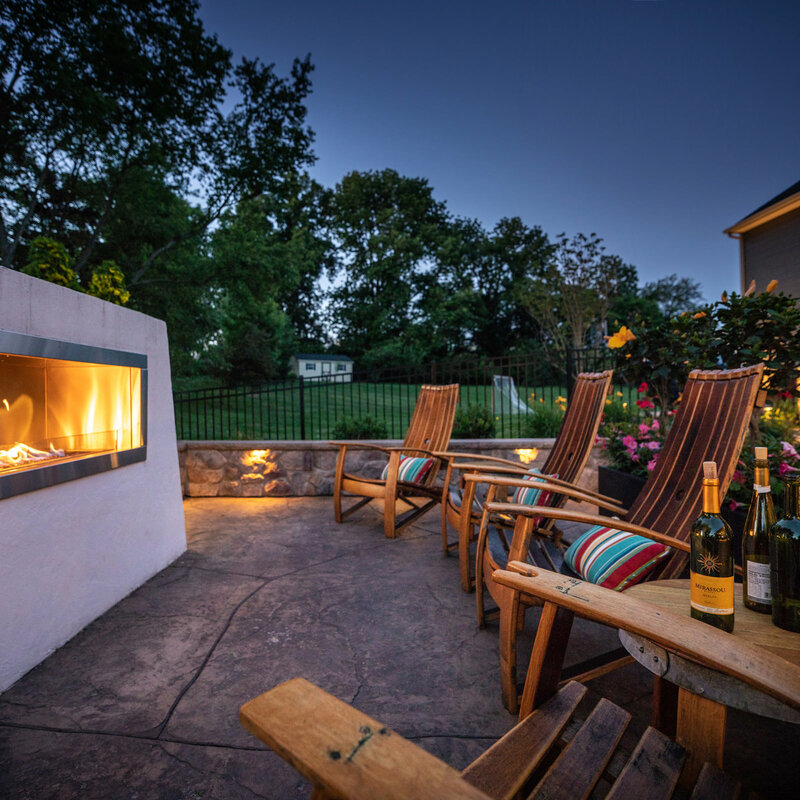 Whether you are already an open-air seasoned chef or are looking to install your own outdoor kitchen in an upcoming landscape design, it is important not to forget about maintenance! Outdoor kitchens are exposed to the elements 24/7, so upkeep and a good cleaning here and there will help to keep your favorite place looking and functioning beautifully for years to come. 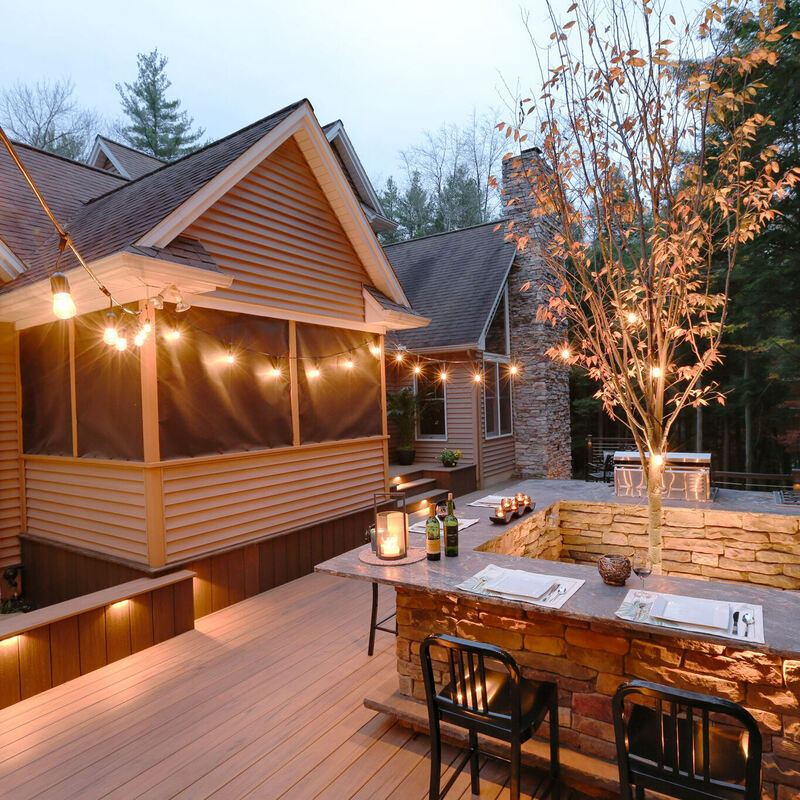 Let’s explore some tips to keep your outdoor kitchen in tip-top shape for years of enjoyment! An outdoor kitchen that is built to last and to withstand the elements surely has appliances made of stainless steel. Not only does stainless steel look sharp in an outdoor living space, it is resistant to rust and corrosion, making it the ideal outdoor material. Although stainless steel is versatile and durable, it is not indestructible. Preventative maintenance is the best preservation when it comes to this material. No matter how careful you think you may be, do not cut directly on a stainless steel surface, even the slightest cut or knick can lead to a rusty blemish in no-time. Also, try not to set hot pots/pans/racks or cast iron items on your stainless steel appliances. If these items are left sitting for too long, staining and corrosion will unfortunately occur. To keep your stainless steel looking shiny and pristine, warm soapy water and a soft sponge or cloth is the answer! To remove smudges and little gooey fingerprints, use a polish specially made for stainless steel surfaces. Not all scrubbers and cleaning agents are created equal, so be mindful of what you use on these surfaces. Steel wool pads, wire brushes, rough sponges, abrasive cleaners and harsh chemicals will damage the smooth finish of your appliances, leaving them looking sad and not so spectacular. It may sound strange, but we look forward to selecting outdoor countertops with our clients. There are so many styles, colors and textures to choose from, this is one feature that will help give your kitchen its personality! Granite is an excellent selection when it comes to outdoor kitchens. This material is durable, strong, sturdy and able to stand up to any kind of weather. Number one benefit of a granite counter top, it is heat resistant. Sunshine, smokers, grills and ovens are no match for the strength of this natural stone. However, while granite countertops usually look flawless and smooth, granite is actually porous, making it more susceptible to stains. In part, the rain and sunshine will help to prevent stains, but with all due diligence, wiping up spills when you see them is best. If stains are of utmost concern, you may opt to seal your counters to combat any clumsy guests. When cleaning outdoor granite countertops, warm soapy water will do the trick and be wary of any caustic cleaners, they can wear down the seal or eventually make the surface look dull. 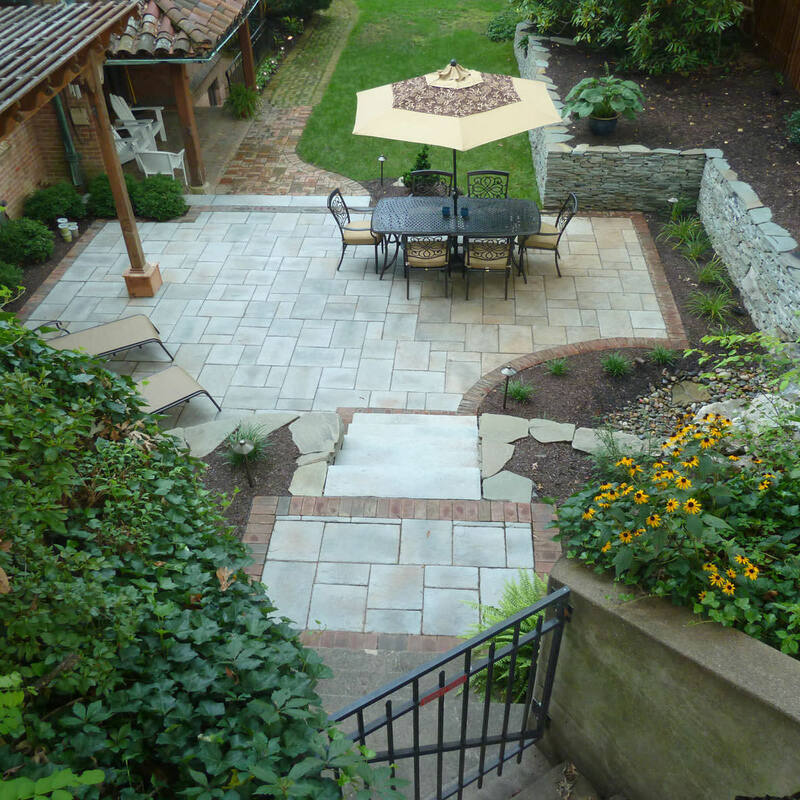 You can’t truly have a complete outdoor kitchen without the proper hardscape, now can you? 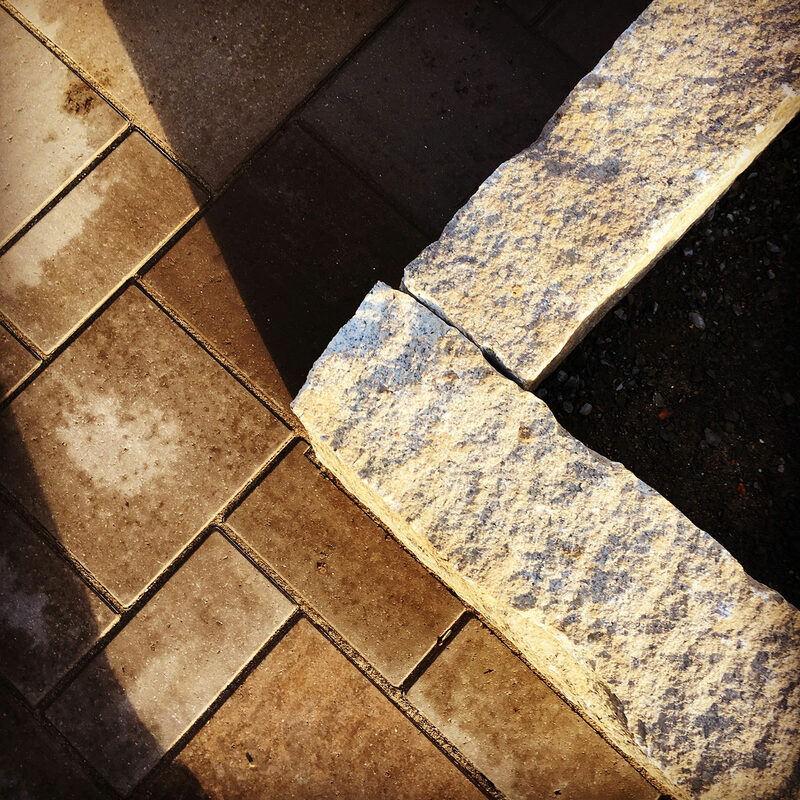 Whether your patio is natural stone, manufactured stone or stamped concrete, they will all need a good cleaning once or twice a season, however, they do require different care. Natural stone has been around for millions of years and it will certainly last as long as we need it. One advantage of natural stone is that it is stone through and through making it more durable. If you happen to chip away some of the stone’s face during a power wash, it shouldn’t be a big issue. 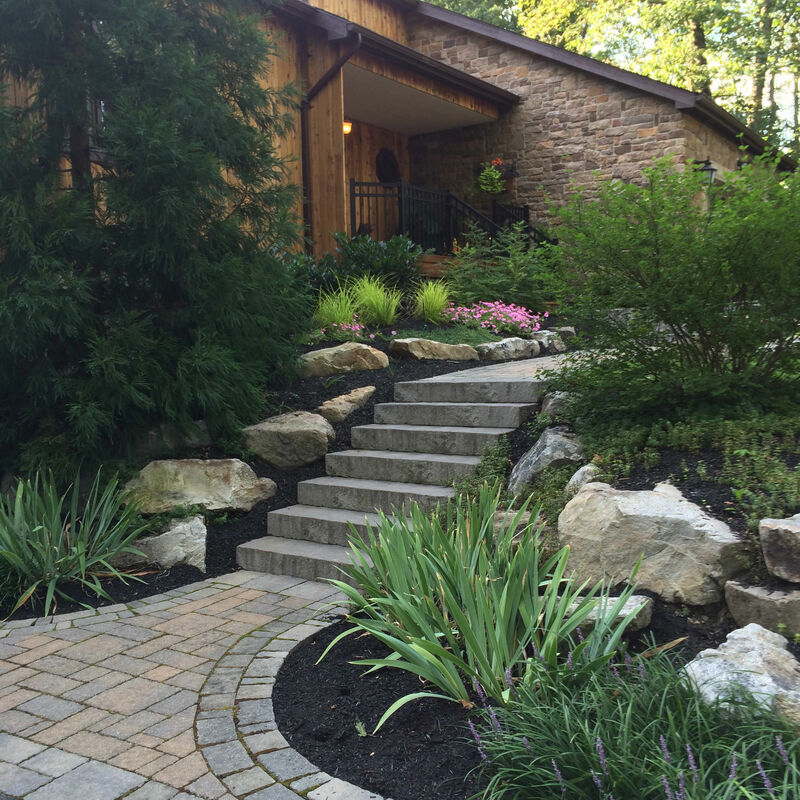 Manufactured stone, on the other hand, is a different story. 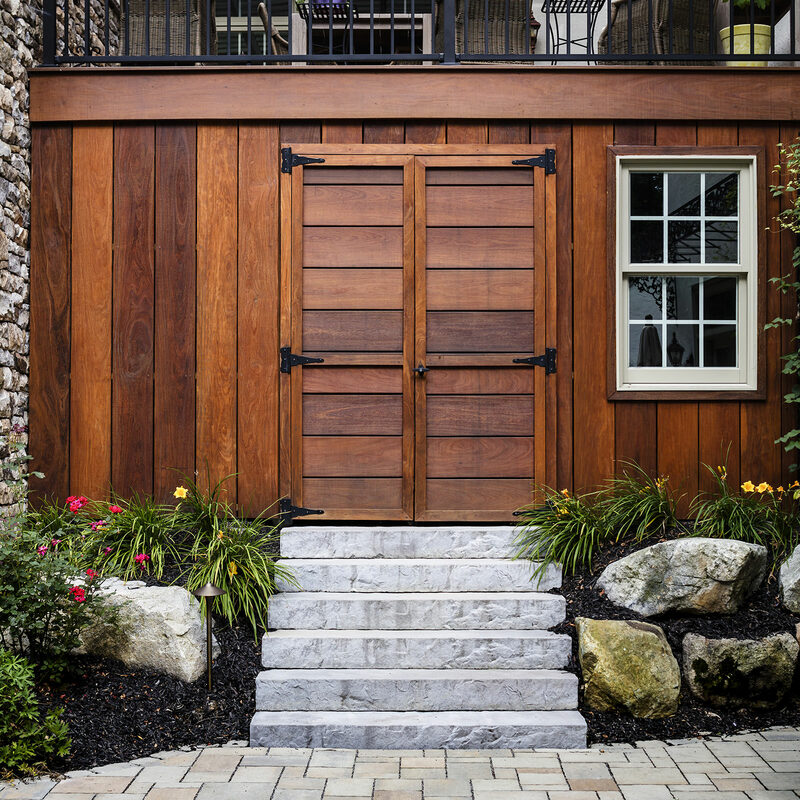 Be mindful of your pressure washer settings when attempting to clean your manufactured stone and stamped concrete patios. If you don’t know what you are doing, have the pressure set too high or hold the wand too close to the patio itself, you may cause irreversible damage. We always recommend following manufacturer’s care tips for pressure washing because every material is different, and you surely want to protect your investment. Generally, a settling no higher than 1000psi and using precise, even and swift motions will do the job just fine. You can use this same procedure for stone veneer on the kitchen walls itself. *Note: if you don’t feel comfortable using a power washer, opt for warm, soapy water and a good, stiff push-broom! I know, I know, it’s summer, let’s not talk about that dreaded winter word, but it is worth mentioning! If your kitchen has a sink, a refrigerator, freezer, ice maker, dishwasher, beverage center…etc., they will need to be winterized before the freezing temperatures swing back around. First step, turn off all appliances, unplug and you may also turn off the breaker if you want. Remove all ice, food, drinks..etc. from storage, cabinets and appliances. For those who do not grill in the dead of winter, be sure to clean and degrease the grates and shut off/disconnect your gas supply. For applicable appliances, drain the water supply lines and blow compressed air through the lines to force out any stubborn water. Leave the hot and cold taps open. Using our suggestion cleaning tips, thoroughly wipe down and clean all stainless steel appliances. Cover appliances and countertops with covers or tarps as desired. 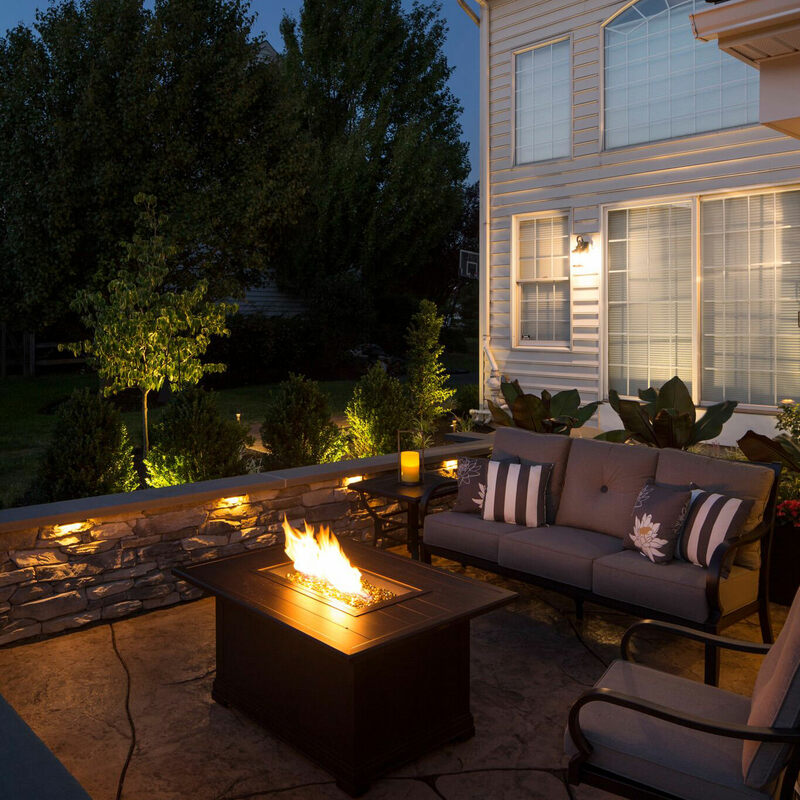 Disconnect outdoor tvs and bring inside to store during the colder months. A little preventive maintenance goes a long way in an outdoor kitchen, extending the longevity of your investment! Using these tips will keep your kitchen looking and operating just like it was during your first cookout. And as we all know, the kitchen is where everyone gathers, so let’s make sure it is always up to par! 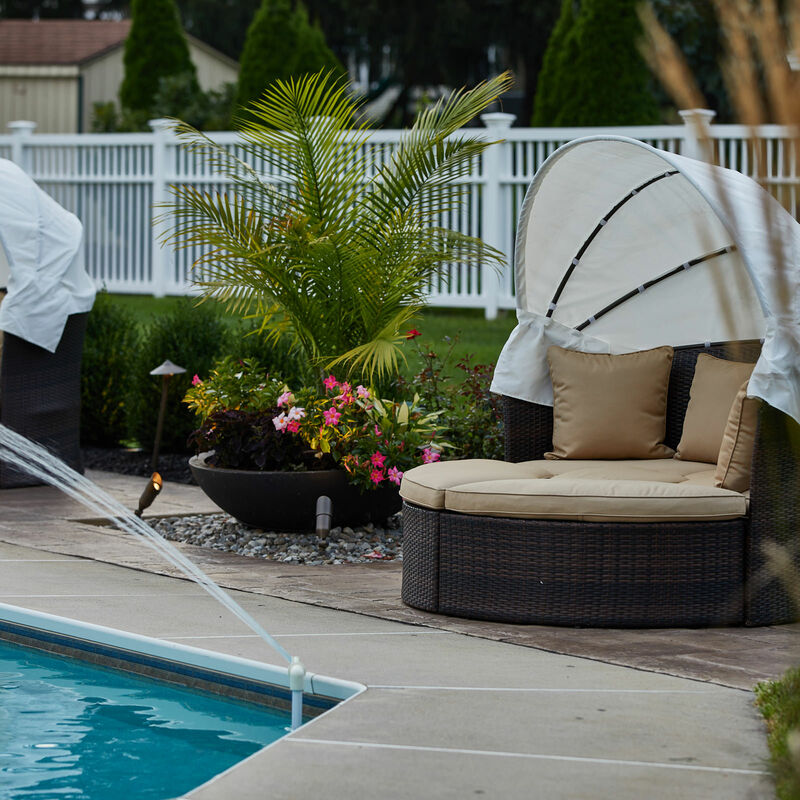 For those living in the Poconos, Lehigh Valley through the Main Line of Philadelphia and western New Jersey who are looking for outdoor inspiration and motivation to reimagine their own backyard, reach out to MasterPLAN Outdoor Living! 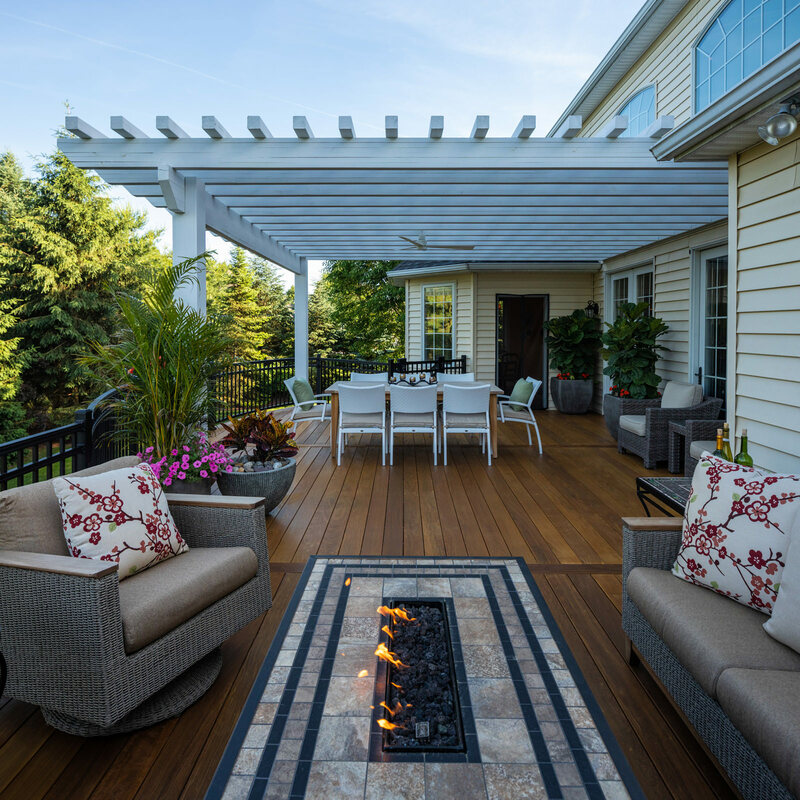 From our flexible project scale, highly-detailed designs and installation of structure and landscape, a comprehensive and timeless outdoor living plan is all it takes to live your best life outdoors. 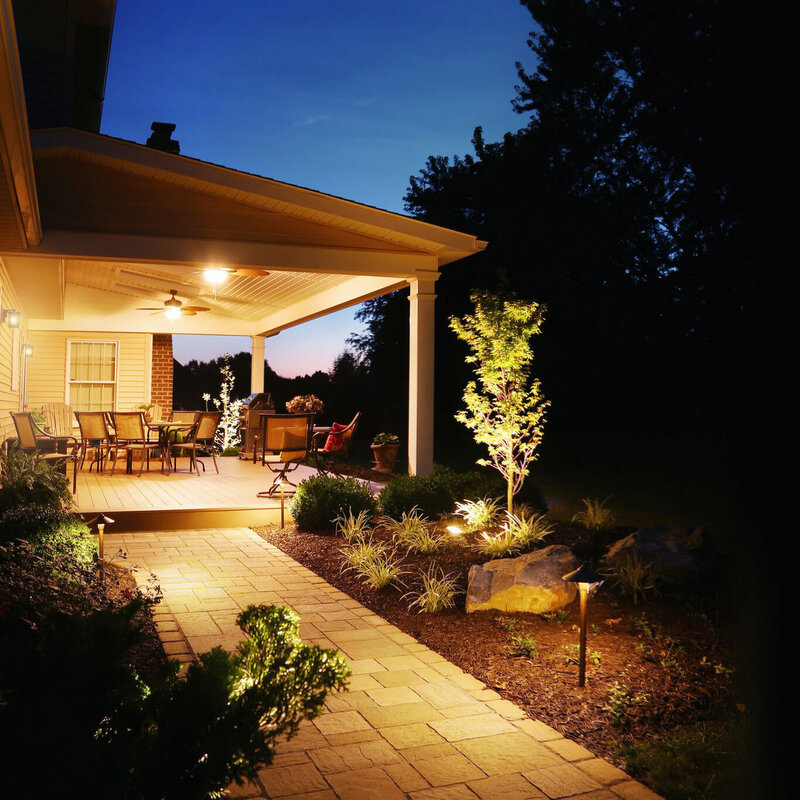 We would love to explore all options to customize your outdoor living space to perfectly fit your home, your family and your lifestyle! When you partner with MasterPLAN, we guarantee you will fall in love with your home all over again.